Combine cake mix, egg substitute, oil, and sour cream in medium bowl; mix well. Stir in oats and chocolate chips. 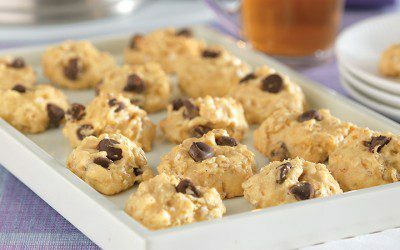 Drop dough by teaspoonfuls onto prepared cookie sheets. Serving size: 1 Cookie Cake.